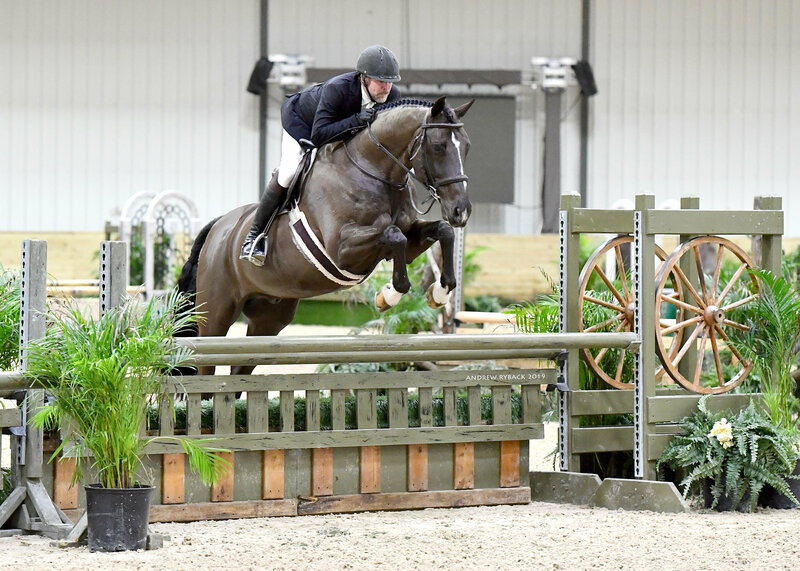 Wilmington, Ohio - January 28, 2019 - Doug Boyd of Sapphire Riding Academy is taking 2019 by storm after securing major wins in both the hunter and jumper rings this past weekend at the World Equestrian Center (WEC) in Wilmington, Ohio. Despite freezing temperatures, Boyd kicked off the week with a win in the $5,000 Welcome Stake on Berkley III on Thursday, then won the $2,400 USHJA National Hunter Derby on Calido’s Son on Friday and topped off the week with a second place victory in the $25,000 WEC Grand Prix aboard Berkley III. Berkley III is a twelve-year-old Dutch Warmblood gelding that Boyd has been has been partnered with for three years, earning top ribbons in Welcome Stakes and grand prixs at horse shows such as Minnesota Fall Harvest, the Ocala Winter Circuit, HITS Chicago, Kentucky and WEC. 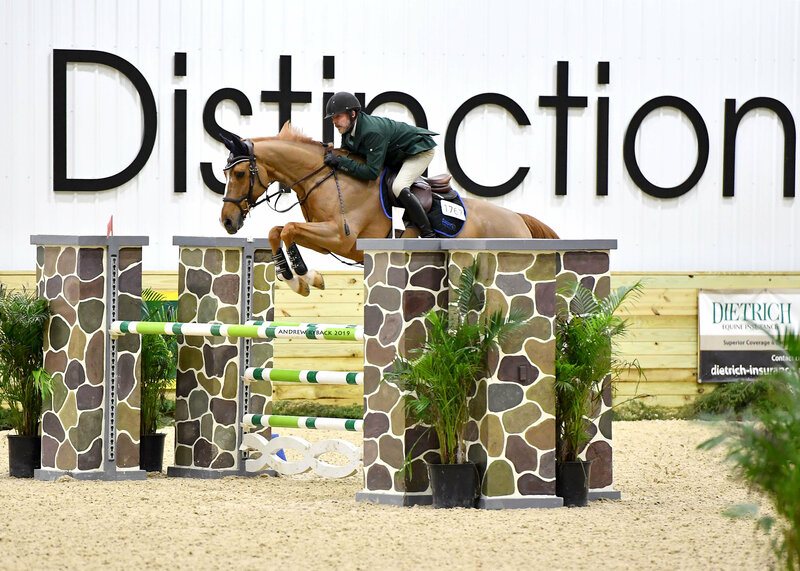 The pair won the $10,000 KindredBio Open Jumper Prix at Showplace Spring Spectacular in 2017 and 2018, and earned a third place finish in the competitive $50,000 Hits Grand Prix during Spring Spectacular III this past year, just to name a few. Doug Boyd claimed the 1.25m Jumper Championship on Calvigo. Boyd also claimed the 1.25m Jumper Championship on Sapphire Riding Academy's Calvigo, another horse Boyd has earned many top prizes with including Ocala Overall Circuit Champion in the 1.20m Jumpers and HITS Chicago Circuit Champion in the 1.20m in 2018. Doug Boyd and Calido's Son took the top honors in the USHJA National Hunter Derby. 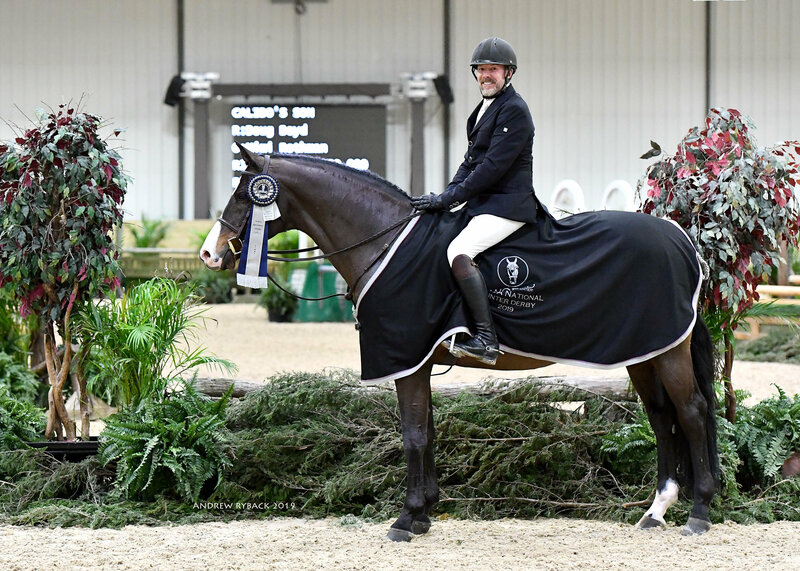 In the hunter ring, Boyd heated up the competition with the USHJA National Hunter Derby win on Calido’s Son after earning the championship in the Performance Hunters, winning every class in the division. 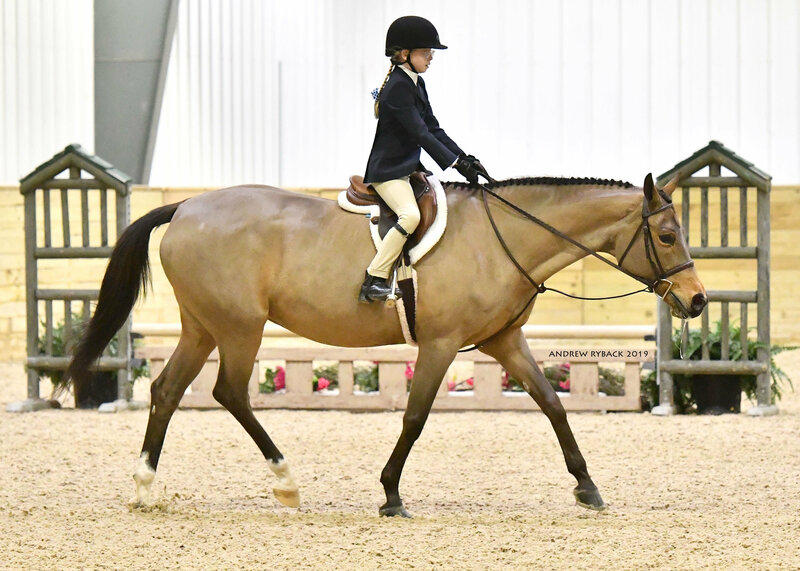 The handsome bay gelding is a National champion with an impressive resume in the hunter rings including numerous championships in the junior hunters, performance hunters and National and International hunter derbies. Doug Boyd collected the championship for the USHJA 3' Hunter on Mimi Rothman's At One's Word. Boyd believes every horse has their own program that works for them. Being paired with many of the Sapphire horses for several years now, Boyd knows them well and knows how to keep them performing at their peak. Boyd kept collecting championships including the USHJA 3' Hunters on Mimi Rothman's At One's Word, another ride that Boyd earned the Overall Circuit Championship on at Hits Ocala in the Low Hunters and Rothman took home the Overall Circuit Championship during Ocala in the Pre-Adult Hunters. Stephanie Hansen and Mimi Rothman's Marschillie earned the reserve championships in the Futures division and the Opportunity Hunters. Sapphire rider Stephanie Hansen may be tiny but mighty as she rode Rothman's Marschillie to the reserve championships in the Futures division and the Opportunity Hunters. With a nice break from showing in the fall, Boyd and his horses are ready for another successful season. Since partnering up with Mimi Rothman in 2014 to create Sapphire Riding Academy, the stable has earned plenty of championships and year-end awards to display in the viewing lounge. While the horses were having time off, Boyd and Rothman kept busy with more upgrades to the beautiful farm. Fall improvements included new footing in the indoor arena, insulation, upgraded walls and fresh paint. The 22-stall heated barn features a large outdoor arena, a grass field with natural obstacles, all-weather and grass paddocks for turnout with a beautiful tack room and viewing lounge for rider comfort. The property is located in tranquil Mettawa, Illinois, only 25 minutes from Chicago’s O’Hare Airport. Boyd will spend more time showing at WEC and may head to Florida near the end of the circuit to catch a few of the big classes there. He will probably be ready to escape the Midwest winter by then as well. Sapphire Riding Academy welcomes new clients and horses in training for 2019. For more information or a private tour, visit their website at www.sapphireridingacademy.comor contact Doug Boyd at 847-867-1999. All photos provided by Andrew Ryback Photography.